The York City Apartments are a pair of beautifully styled self catering apartments. Less than a mile from the centre of York, these apartments are perfect for couples, families our business guests. 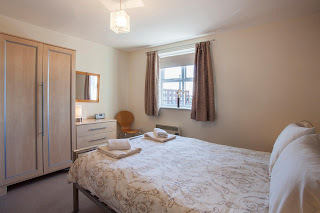 The apartments have a modern feel and both can accommodate up to 4 guests. They benefit from well-equipped kitchens, flat screen TVs, DVD players, radio CD players and iPod docking stations. Merchants Gate is a 2nd floor apartment that is cosy and comfortable. It has a separate lounge and kitchen/diner with a large bathroom. An allocated parking space is provided within a courtyard area. The lounge has wonderful city skyline views. The Tannery is a set over the 2nd and 3rd floor and has lots of character. Inside there is an open plan kitchen, dining and living area on the lower floor. 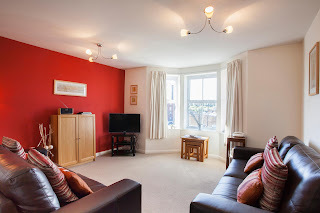 The apartments are both within a 10 minute walk from the centre of York. You can visit many award winning attractions such as The Minister, The Shambles, Clifford Tower, The Jorvic Centre, The National Railway Museum, The City Sight Tour and The River Tour. York is host to a great variety of shops and restaurants.